Laird Point is a quiet gated coastal community set on a peninsula with breathtaking views of East Bay which leads to the Gulf of Mexico. Lot 20 is a fantastic location for a resident wanting a water and wooded setting or a builder needing a prime location for a model home. This generous size home site is across from the first home in the neighborhood anyone sees once in the gate. 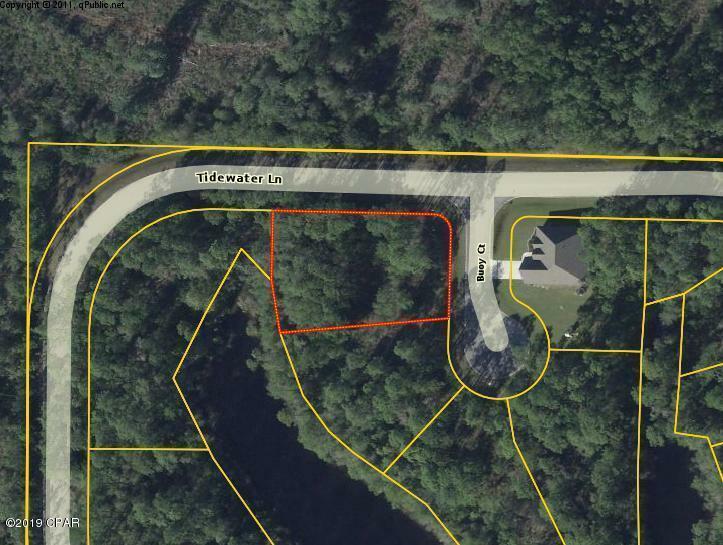 The lot backs up to a conservation zone and a lake, so this lot will remain private. Close to the social attractions of nearby Panama City and Tyndall Air Force Base. New homes are being built in the neighborhood now. This property sustained some mature tree loss from Hurricane Michael and the owner is making arrangements to remove the downed and mow the brush vegetation.